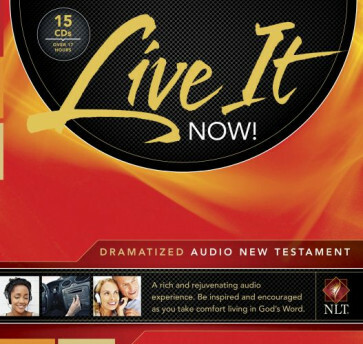 Be inspired and encouraged as you live the Word of God with the Live It Now! Net Testament dramatized audio Bible. This rich and rejuvenating audio experience is a convenient way to get the Bible into your busy life. Perfect for commuters, vacationers, business travelers, and anyone who wants to grow closer to God. The New Living Translation is an authoritative Bible translation, rendered faithfully into today’s English from the ancient texts by 90 leading Bible scholars. The NLT’s scholarship and clarity breathe life into even the most difficult-to-understand Bible passages.